During the recent recession, many industries suffered enormous losses, but one rose triumphant from the metaphorical ashes: the self-help sector. The self-improvement market continued to grow during 2008 and afterwards, now representing $10 billion per year in industry. As our desire to improve ourselves grows, so too does the fortune amassed by the self-help industry, but are we getting true bang for our bucks? Let’s explore what make the self-help industry so popular and whether self-help can challenge the more traditional competition in the efficacy stakes. Spending a nominal amount on a self-help manual is a virtually riskless process, allowing buyers to expend a little and decide afterwards whether the choice was worth it or not. Even if the manual or guide provided little help, the low cost makes the result easier to bear. There’s also the benefit of anonymity – visiting a book store and picking up a self-help publication allows us to seek out help without making it official. For many, investing in self-help resources is a convenient way to address underlying problems. Buying into the self-help market gives us the opportunity to transform, to better ourselves, to improve on areas we feel are lacking; humans naturally seek fulfilment, and self-help resources appeal to this trait. The effectiveness of these resources, however, is difficult to measure, and the results may be short-lived. 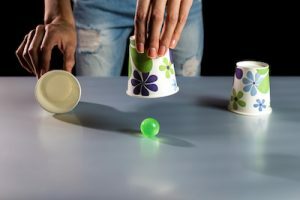 Success differs from person to person and depends on the type of problem being addressed; depression, for example, may be easier to improve through self-help techniques than addiction. The quality of help received when a person picks out a self-help products is difficult to determine; it’s almost impossible to discern the truly helpful from the superficially obliging. Research has shown that the most prolific self-help customers are those who have purchased similar products within the last 18 months, which suggests that their previous purchase failed to achieve the desired goals, and critics suggest the industry is one that capitalizes on people’s weaknesses and the persistent hope of improvement that plagues so many of us. Identifying and treating underlying issues that impact on our mental health, relationships or other problem areas is no easy feat; the ability to think about our thought processes – known as meta-cognition – is key to developing true understanding and awareness to facilitate the change we seek. Often, self-help resources merely scratch the surface of much more embedded issues, and while they may provide some solace in the short-term, how deeply the themes penetrate – and how effectively – remains to be seen. Self-help resources can complement more traditional, professional treatment; indeed, some self-help techniques and groups are recommended by psychologists and other mental health professionals as a means of becoming more independent, connecting with others and learning coping mechanisms. As a sole solution for deep-set problems, however, self-help may be lacking; it’s always prudent to seek the services of medical professionals with the experience and qualifications necessary to diagnose and treat a wide range of problems. Developing the ability to think about one’s own thought processes and bring about positive change within our lives takes time, dedication and expert guidance. A joined-up approach – that is, one that takes into account each individual’s problems in terms of their unique needs, is the best at garnering results. 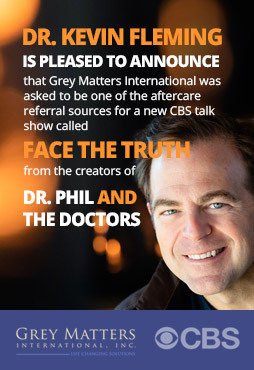 The innovative neuroscience-based therapies offered by Grey Matters International combine traditional science with psychology and brain-training techniques to decrease emotional reactivity and facilitate true change within that lasts. You can find out more about our concierge-led service and how we can help you improve in all areas of your life by getting in touch with us today.